It works like a standard vehicle power inverter ~ but outputs a straight 150V DC so you do not have to add a rectifier to convert the AC. 6"X6" 21 PLATE ELECTRODE 1.5-3 LPM Our new Constant Current PWM Controller and Module. This Controller and Module with hold a constant set current up to 20 amps eve if your electrolyte levels are increased. Stop run away amps! The integrated Trip Computer provides realtime feedback while simultaneously tracking three sets of trip data. The Digital Gauges give you realtime data for your vehicle and the built-in Scan Tool allows you to read trouble codes and diagnose potentially expensive problems before they get out of hand. Commercial "Plug and Play" Hydrogen On Demand System for Semi trucks and other large diesel applications. 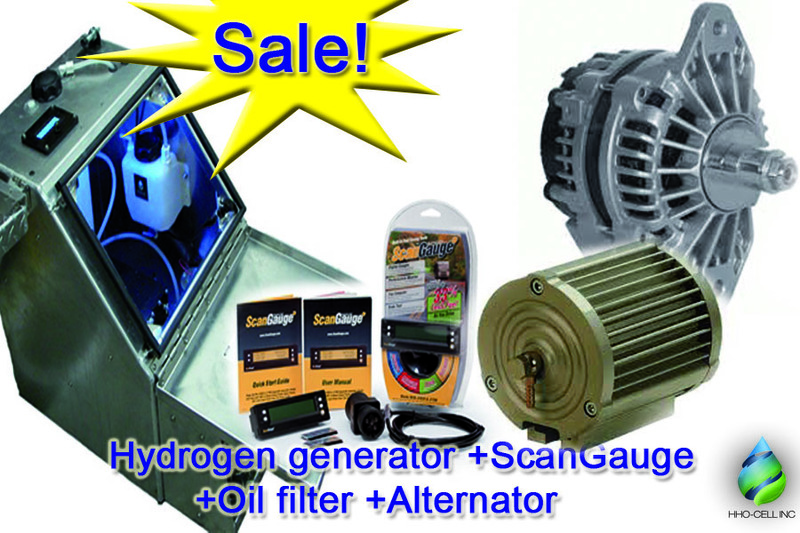 ~System includes our 23 plate 24v cell, water reservoir,hose and fittings. Our new Constant Current PWM Controller and Module.